Siem Reap, which is a province in northern Cambodia, is a popular tourist destination and is also the gateway to the Angkor area. 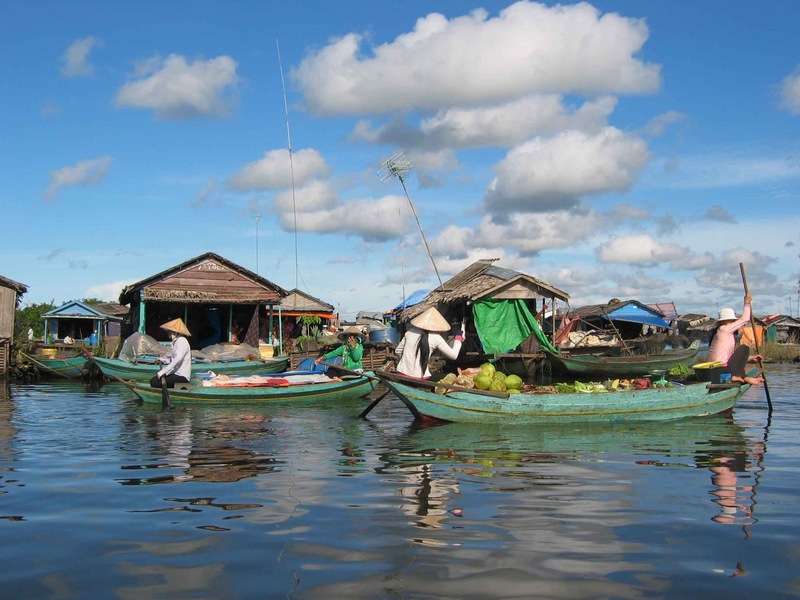 Siem Reap brings about a mix of colonial architectures of the French and the ancient features of China. 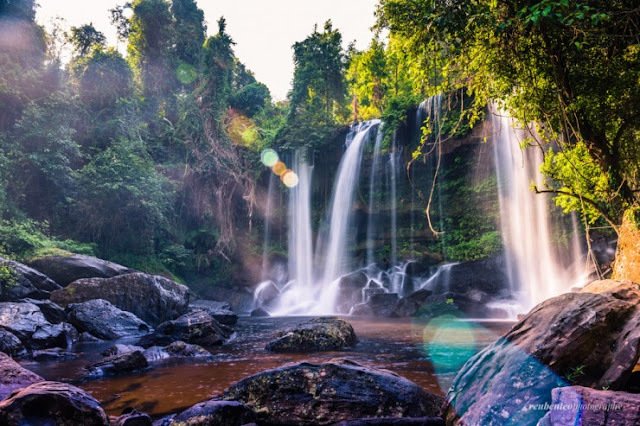 If you are considering about a trip to Siem Reap, please read following Cambodia travel guide to improve your knowledge of Siem Reap’s tourist attractions and cuisine to make you less confused when you first come to this place. It is a temple (Angkor) which is located on a ridge of Dangrek mountain in Thailand, along the border with Cambodia. 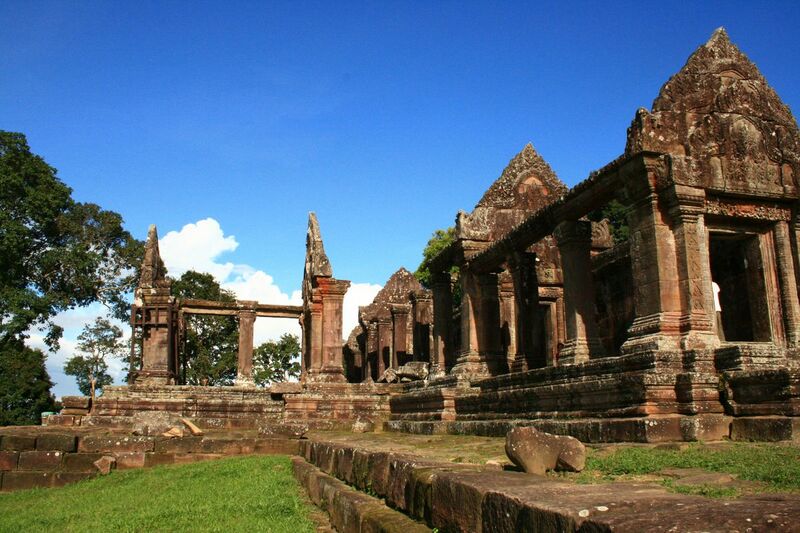 This temple is taken as a name for the Preah Vihear province, where it is located. Away from Siem Reap City 50 km is the first capital of Angkor dynasty during the reign of King Jayavarman II built in 802. It is located on the hill Mahendra in a wide virgin forests with the length of 37,500 ha and many species of wild animals. From the summit, there are clear streams which are considered original places of the Siem Reap river. On Mahendra Hills, Jayavarman II declared the independence of the Khmer kingdom and chose this place as the first capital. 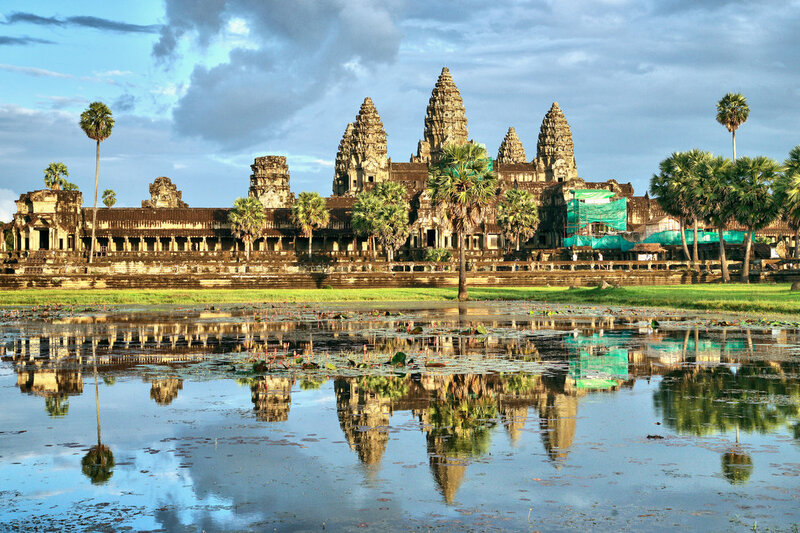 They call this period the "Southeast Asia in the shadow of Angkor". From atop the hill, visitors can see the entire Angkor park . Tuk tuk is a local car. You can use it to visit Siem Reap. Surprisingly, the cost for each trip is only $ 2 and the driver can become "the best tour guide” you can find in Siem Reap because they almost know all the roads around here. 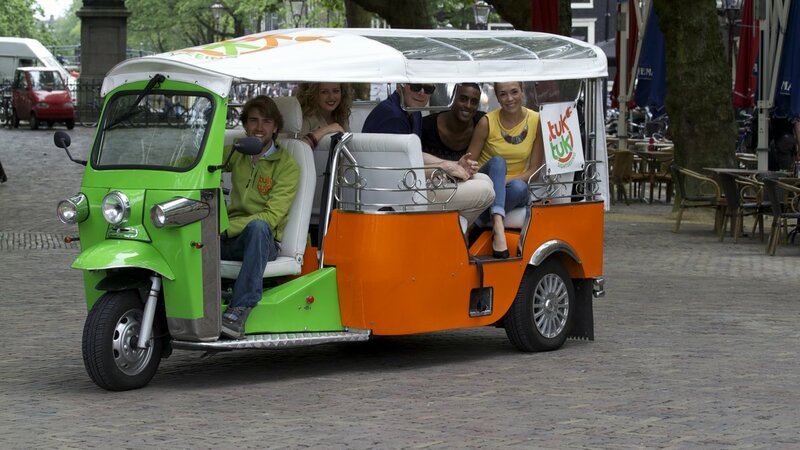 Traveling around Siem Reap will be more interesting and memorable in a Tuk tuk car. 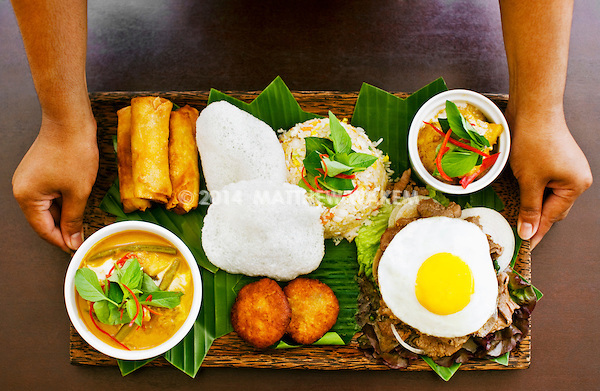 Cuisine here is very rich and diverse with delicious Khmer dishes as well as Vietnamese, Thai, European dishes ... Because this is a tourist city, you can enjoy many kinds of food from other Asian countries. Especially, you should try to eat Amok which is the dish with full of flavors of fatty sweetness of palm sugar and coconut milk, fish sauce and banana leaves. In Cambodia, you can use US dollars or Cambodian currency “Riel” to pay for a delicious meal such as Amok or curry only with 2$ - $ 5. If you eat in the markets instead of the tourist streets, the prices will be cheaper. Before going to Siem Reap, it is strongly advised that tourists know and appreciate Cambodian cultures and traditions. Making a careful preparation, reading tour guide book and every necessary thing will make the visit much more wonderful and special. 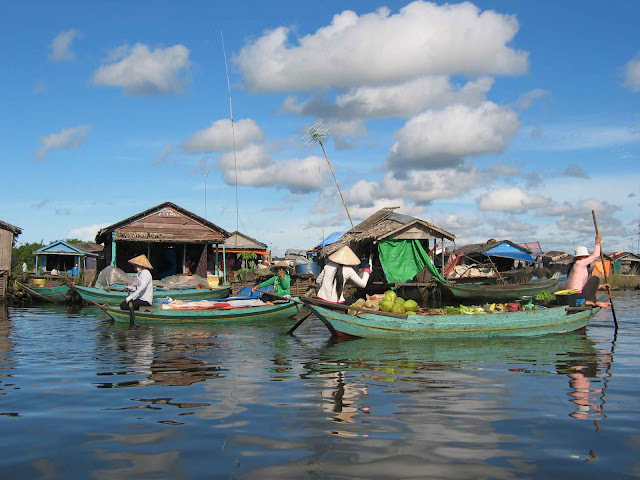 Cambodia is a great country to discover and learn about its unique history and spectacular sceneries./.